A road trip to explore some of Turkey’s Anatolian Lake District in the Burdur and Isparta Provinces was the destination for our last little jaunt. Eğirdir had been on our radar since moving to Turkey 15 years ago, and, aside from passing through the region on intercity night buses to elsewhere in Turkey, the mountain roads, lakes, towns and cities around here were all still waiting to be discovered by us. We chose Eğirdir as our base for three nights. A good amount of time, we thought, to have a mooch around and take in all we wanted to see and do. Of course, these two slow travellers barely touched the surface. How wonderful! What actually happened on this trip was that it served as a taster and now we’re definitely intent on a return visit. Eğirdir is often used as a stopover by travellers drawn by the magnet of Cappadocia. But if, like us, you have time on your hands, don’t just use this town as a rest stop. This is a spectacular area and worth a good few days of your time – and more besides. First things first. Just for context, we explored this area by car and we set off from Fethiye, where we live. All the things to do in Eğirdir are either in the town or they are an easy drive from your base. Yes, like one of its fellow Turkish members of the Cittaslow movement, quaint Akyaka, you don’t come to Eğirdir for nightlife and cocktails. Cittaslow is an ‘international network of cities where living is good.’ This is a place where you come to take it easy. Where locals eat local. Where you breathe in the fresh lake and mountain air. And if you’re in Eğirdir out of summer season, you might want to wrap up warm whilst you’re breathing in this Cittaslow lifestyle. It can get nippy up here! Did you know? Eğirdir (pronounced Eh-ee-deer) was called Eğridir (pronounced Eh-ree-deer) until the 1980s. Eğridir means ‘crooked’ or ‘bent.’ Tired of the jokes, locals renamed their city, Eğirdir. This evokes the meanings of ‘spinning’ and ‘flowers.’ It seems old habits die hard – many of our Turkish friends still use Eğirdir’s pre-1980s name! Yeşilada and Can Ada are where you can really see where the Cittaslow status of Eğirdir comes into play. A thin slither of land stretching into the lake, these former islands are now connected to the mainland by road. 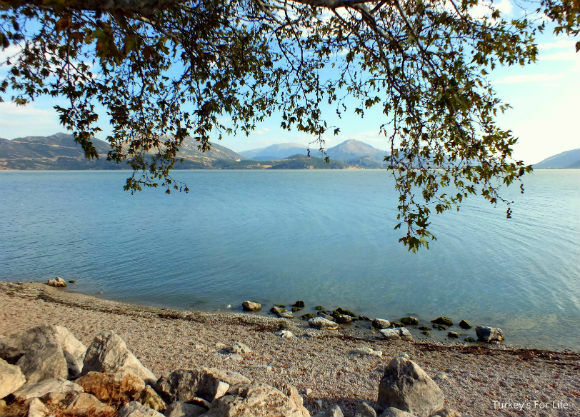 As you leave Eğirdir town centre to stroll the peninsula, Can Ada is a grassy recreation area where locals come to picnic and just take in the lakeland scenery. Yeşilada, which stretches right to the tip of the peninsula is where you’ll find homes and small, cosy pensions to stay in. Either side of the road is Eğirdir Gölü. If it’s breezy and choppy on one side, the opposite side will be calm flat water. Two ecosystems either side of a pathway. The bird life wisely chooses where to bathe and fish, accordingly. Unfortunately, in years gone by, nobody saw fit to slap a protection order on Yeşilada so a lot of the pensions and dwellings are modern buildings. However, you can still wander the streets and catch sight of the old Greek houses that were occupied until the population exchange in 1923. 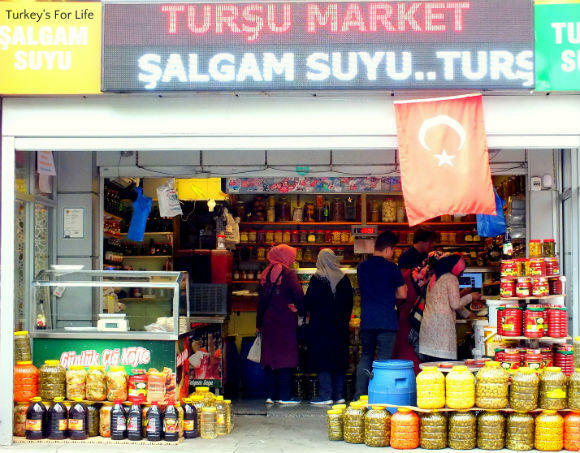 Eğirdir market takes place every Thursday and takes over most of the entrance to the Yeşilada peninsula. Some stalls stretch to the foot of the castle walls so you can do a double whammy and take in the market and the castle all in one go. There’s a not a lot to the crumbling castle for the curious visitor, and, when we were in Eğirdir there was construction underway (you can see it in the foreground of this photo) so we couldn’t get too close. The 400 BC castle is also known by its Byzantine name, Akrotiri (also the previous name for Eğirdir) and it’s a real visual feature of the town. A simple yet striking mosque, Hızırbey Camii is right in the centre of Eğirdir. It is named after Hamidoğlu Hızır Bey who carried out extensive restorations in the 14th century. However, the mosque completely burned down in a fire in 1814 and was rebuilt. The style and position of the minaret – incorporated into the city walls – are said to be a unique masterpiece of the Turkish Islamic world. Reason enough to have a little wander through. The mosque is also open to the public. These days, the Dündar Bey Medresesi (the grand entrance is visible on the left of this photo) is apparently a bazaar selling various souvenirs. It’s currently closed for restoration so we didn’t get to see inside. If we’re being honest, it was quite nice just to admire the entrance without fake football shirts and branded puffer jackets hanging from the walls of the entrance. Local foodie treats are what it’s all about when we’re on our travels and Lake Eğirdir has no shortage of those. If Bafa Gölü was all about the eel, our stay in Eğirdir was all about other fresh water goodies. 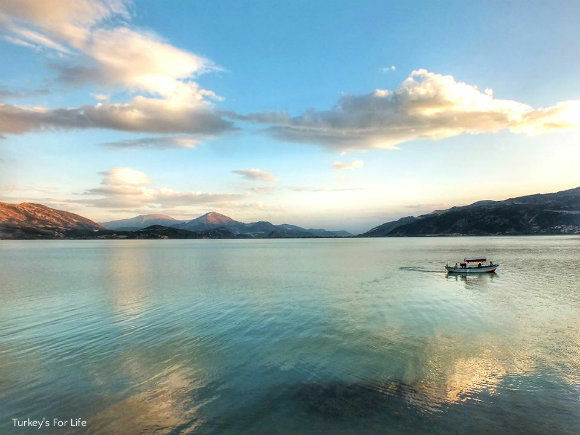 Lake Eğirdir is famous for its carp and it’s very much a local delicacy at the lakeside restaurants. We couldn’t wait to try it. Other local dishes are zander (this is known as göl levreği – lake bass) and fresh water lobster. We didn’t get round to the lobster but the zander was a joy! The carp was good, if a tad earthy – well they are bottom feeders. There are lots of lakeside restaurants around Yeşilada. We ate at Melodi Restaurant because it was always busy and served alcohol. In the summer months, these windows would be open and you can enjoy the fresh breezes. In the autumn months, we loved how quickly the weather changed to offer dramatic scenery across the lake. We’re not gonna lie to you. It was autumnal and it was cool! Bobbing about on the waters of Lake Eğirdir didn’t exactly seem appealing. It would no doubt be a different story had we been there in summer. Photographing the boats on Lake Eğirdir, however; that was a more than enjoyable pastime. Your boat trip is on a small motorboat – loud music on request. Boats go out as and when – just ask any of the guys offering them and you’re away. They take you to the best swimming spots and picnic places around the lake shore. 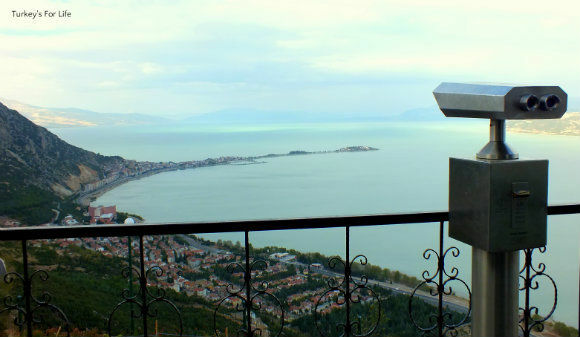 It’s a popular pastime to get a bit of height and take in the views across the lake and Yeşilada peninsula. There are lots of trekking routes, and, if the mood takes you, you can hike to the village of Akpınar. We had lots of other activities on our itinerary for that day, so we drove up the steep, winding road to Akpınar Seyir Terası (Akpınar Viewing Terrace). We set off blindly on this little jaunt and just followed the signs for the village of Akpınar, wondering whether the famous viewing point would be easy to spot. Ahh, well, we needn’t have worried. Traditional village this might be but these villagers and business owners are not going to miss out on passing hikers and drivers. Neon signs and arrows galore will lead you to the cafes and your chosen viewing area. Eğirdir is a lake town but that doesn’t mean summer visitors and local can’t enjoy some beach life. Sun loungers will be laid out on some of the beachy areas. If you know us, you’ll know we’re not sunbathers but we do love a deserted beach. The Halk Plajı (public beach) is nearest to the town centre. As you can see, it’s a sandy beach and the sand is compact. Some brave souls were having a paddle and had waded out some way, still only up to their knees. This is probably because, sadly, not all is rosy for Eğirdir Lake at the moment. Water levels are falling, not just as a result of lack of rain but also a human impact – dams and hydro-power plants. Neighbouring Burdur Gölü is in an even worse state. But let’s not let all that prevent us from appreciating the beauty of Eğirdir! 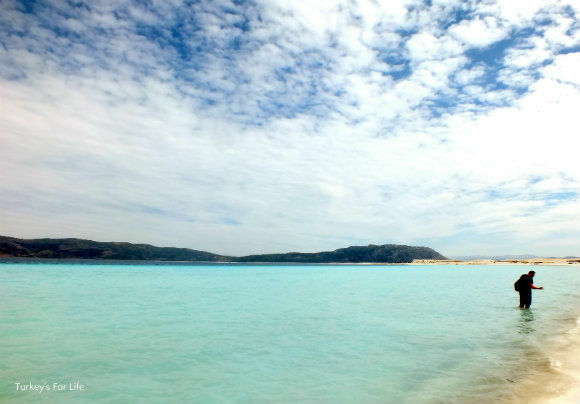 Just outside of town is the Altınkum Beach (Golden Sand). You can see why it got its name. And the writing on the mountainside: Güçlüyüz Cesuruz Hazırız – We are strong, We are fearless, We are ready. The Isparta Province is a Turkish Commando training area. 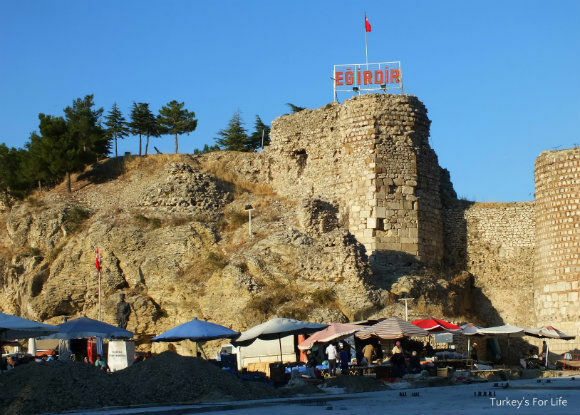 Eğirdir is home to a huge barracks which you will pass as you drive down the hill, into Eğirdir centre. We’re telling you this because, if you’re hiking round there, you’re gonna come across fenced off areas. Do not cross those fences otherwise you’ll be in a military zone and it’ll land you in hot water. Oh, and don’t take photos of said fences, either. You’ll see the square red signs with crosses through cameras, anyway. Don’t ignore them. This is not detective work! If the Mediterranean town of Köyceğiz is famous for its citrus fruit, then Eğirdir is famous for its apples. And thousands – if not millions – of apples you will see. You won’t just see them; you’ll smell them. The air around Eğirdir is filled with a sweet apple aroma. Orchards line the roads around Lake Eğirdir; cold stores are rammed with harvested apples; roadsides are piled high with them; tractors and trailers rule the roads as they ferry apples from orchards to warehouses; HGVs wait in lorry parks, their huge trailers overflowing with plump, crunchy fruits. As well as not rushing things, slow travel is all about supporting local businesses. This is never difficult in Turkey and it certainly wasn’t difficult in Eğirdir. Eğirdir isn’t about huge luxury hotels. It’s all about small and local, here. We stayed at family owned and run, Göl Pension, but there are lots of similar places to choose from. Okay, so we did say we were using Eğirdir as our base to explore not just the town and the lake but also the surroundings. There’s much more to do than what’s on this list. These are just the places we managed to see in the short time we were in the area. And we’re not going to write too much here because we’re gonna do separate articles on each place. This was the main site we wanted to visit whilst we were in this area. Sagalassos is around 1 hour 20 minutes away by car and the drive is a stunner! You’ll love the mountain scenery as much as these fabulous ruins! They’re beautifully preserved and restored. And the site is on the Tentative List for being awarded UNESCO World Heritage status. Click this link to view Turkey’s UNESCO World Heritage list. 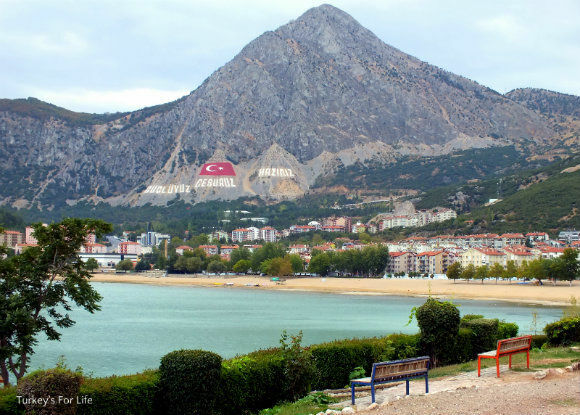 This is a treat because to go there means you can drive the circumference of Lake Eğirdir. Antioch of Pisidia is an ancient site close to the northwest shores of the lake. This site is also the end of the St. Paul Trail which begins at Perge in Antalya. Even if you’re not a hiker, at least you can say you have walked some of the trail when you come here. Drive time – around 1 hour along the eastern shore of Lake Eğirdir. Once you leave Antioch of Pisidia, rather than heading back in the same direction, you can continue following the opposite shores of Lake Eğirdir. And, just before you get back to town, you’ll see the signposts for Barla. Barla is just one of the many reasons we want to go back to this region. The village was nigh on inaccessible when we arrived – all tracks and roads were dug up for infrastructure purposes and diggers were causing dust to fly everywhere. We need to return! Again, Barla was on St. Paul’s migration route. Judging by the size of the rather grandiose Tourist Information centre at the entrance to the village, we suspect this village might receive coachloads of visitors in the summer months. Barla is a pretty, rugged village built onto a mountainside with views across Lake Eğirdir. Why would you not want to visit here? 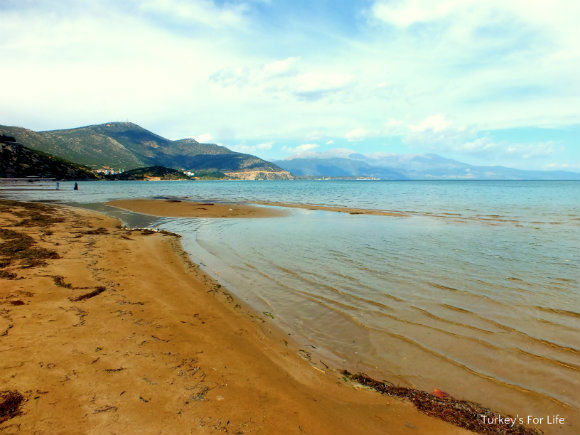 Drive time – around 20 minutes from Eğirdir centre. 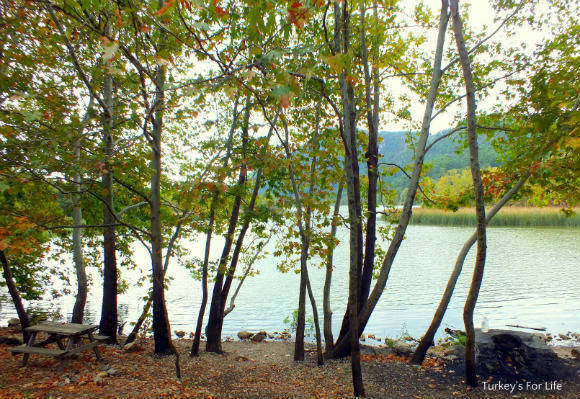 Kovada Gölü is fed by the waters of Eğirdir Lake. On returning home, we discovered that a stretch of the King’s Road – a road that stretched from the ancient city of Ephesus all the way to Babylon – is 35km away from Kovada Gölü National Park. Well, if you’re in the Isparta Province, you might as well have a mooch around the city that gives it its name. Drive time from Eğirdir is around 30 minutes. If Cittaslow Eğirdir starts to feel a bit, well, slow, a trip to Isparta will give you the city fix that you need. Lots of eateries and shopping to be done and a bit of history thrown in besides. If you visited Sagalassos, then you can visit Burdur Museum to see some of the famous finds from the ancient site. The museum is compact but has lots of other archaeological finds in there, too, including finds from Kibyra. We visited here en route back from Eğirdir to Fethiye. Drive time from Eğirdir is around 1 hour 10 minutes. And finally, this is a bit of a cheat. Not so much part of our things to do in Eğirdir but a stop off en route to or from the town. We’re right back to the beginning of our road trip. We made a stop at Lake Salda on our way to Eğirdir. The lake is also a good stop off if you are travelling on to places like Pamukkale and ancient Hierapolis. So, that was our long weekend where we made Eğirdir our base. This article will remain fluid because there’s so much more we want to see and do around the Isparta and Burdur Provinces. Winter sports fans can ski at Davras Ski Centre; a 40 minute drive from the town centre. 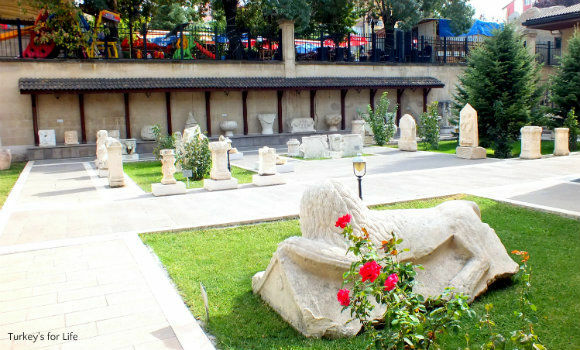 Isparta is famous for its roses and rose festival. There are hiking trails galore. More lakes and national parks and archaeological sites to explore.